Kiko Navarro is one of Spain's most accomplished and respected producers with releases on some of the most highly regarded labels. His latest track, ‘Let You Go’, featuring D7, includes remixes from DJ Rocco & Jay J, as well as a collaborative mix with Kiko and DJ Rocco. 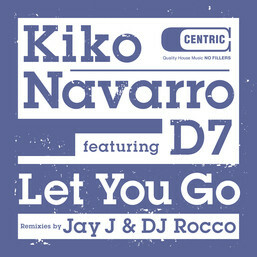 D7 brings a unique vocal style under Kiko's hypnotic bassline, whereas DJ Rocco is recognised as one of the foremost exponents of deep house, from his time in super group Rodamaal to his solo release on some of the most respected labels including Buzzin Fly and MN2S. He provides two mixes on the vinyl release here, as well as the main mix in collaboration with Kiko. The track is receiving great support and his vocal dub mix has hit the spot with the likes of Mr V, Melon and Moodymanc as well as South Africa's deep house fraternity. 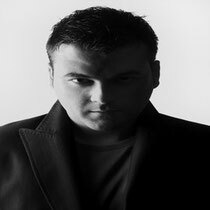 Grammy nominated producer Jay J is known as the producers’ producer, the owner of Moulton Studios and producer of some of the most played soulful house tracks of all time. With his addtion to this Centric release, he provides four mixes with his shifted dub mix exclusive to the vinyl release only.